Let your neighbors inspire you. Go on a drive through your neighborhood and see what colors your neighbors use on their roofs. If you already have an idea of what you like, this can help you see what it looks like once its been placed on a home. For example, if you thought dark brown shingles would look perfect, but you arent crazy about the way they look on your neighbors house, this will help you avoid making a costly mistake. Look at it in different lights. The color you see under the artificial lights of an Austin roofing companys store can look very different in the sunlight. Before you commit to a roofing material, make sure you ask for a sample so you can view it in different lights. Bring it home with you and hold it up in the sunlight and under the shade of your lawns trees. This will be the ultimate test to determine whether this is the right color for you. If energy efficiency is important to you, then it may be wise to stick with a lighter colored roof if it fits the rest of your homes color scheme. Darker roofs absorb more heat and transfer it to the inside of your home, therefore forcing your heating and cooling system to use more energy to keep you comfortable. Lighter colors, however, reflect sunlight instead of absorbing it, thus keeping your home cooler during the hot summer months. 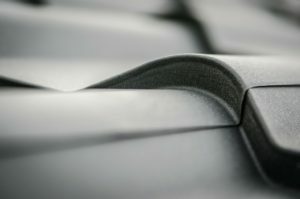 If you want to stay close to the color you have on your current roof, bring a shingle with you when you go shopping for the new roof. Compare each color to the old shingle so you know if its lighter or darker than what you have now. This will help you visualize what the new color will look like on your home. Think about the statement youre making. I like your advice to consider energy efficiency. I think that many people underestimate the difference it makes to have the right color that will lower things like your heating or cooling bills. Do you have any other tips about getting a good roof for your home? I’m just trying to figure out the right contractor to help me, to be honest. I just moved into a new home and the roof is in really poor shape, and I wanted to get it completely replaced. You advised taking samples from the roofer and seeing what it would look like in the light and around your home. I really want the roof to give my home some new life, so hopefully I can find a service that has light, and warm colors that help my home feel more welcoming. My brother recently purchased a home at an auction. When he arrived at the property, he noticed there are areas of the roof that are damaged, so he’s looking at replacement options. I didn’t realize looking at your neighbors roofs can help you choose a style you love. I’ll be sure to share this info with my brother. I am needing to get my roof repaired but the job is so big that I could honestly just replace the whole color of the roof. You mentioned that when looking for a color it helps to keep an old shingle so that you can stay close to the color already there. That is a great way to help visualize the new color on the house. Thank you for the great information. Now all I need to do is find a repair roofer. I think that pondering about what kind of statement you want to make with your roof is incredibly important. I will make sure to keep this in mind when I fix my roof next week. Everyone in a helicopter above my house will know that I take pride in my roof and yard. There’s simply no time to have a bad-looking roof these days.